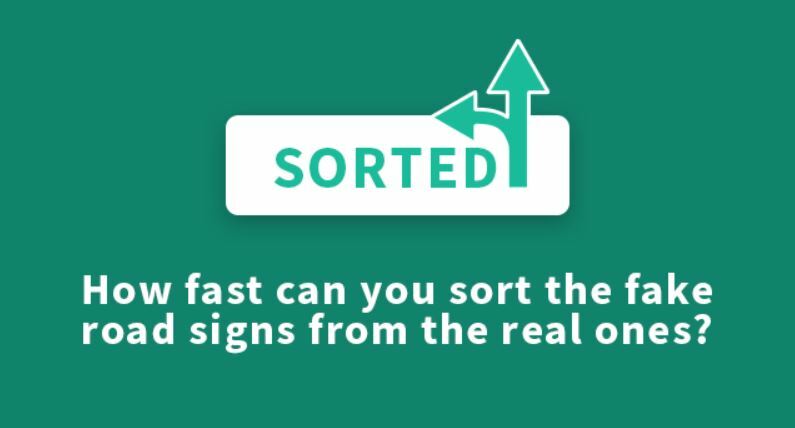 Test Your Eye For Road Signs With Our New Sorted Game! When learning to drive, one of the first aspects of the road you need to get to grips with is traffic signs. They provide valuable information about upcoming road conditions and help you to plan your journey. 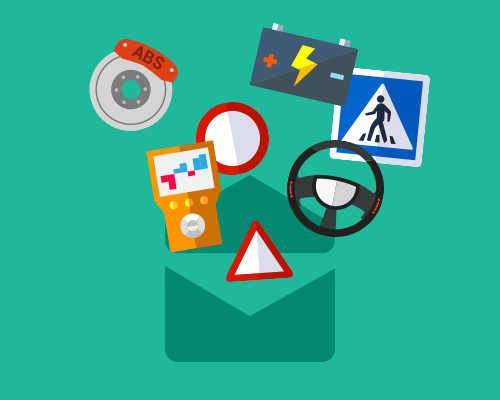 Always looking to help our learners where we can, PassMeFast has devised a new game that will help you familiarise yourself with some of the most common road signs out there. 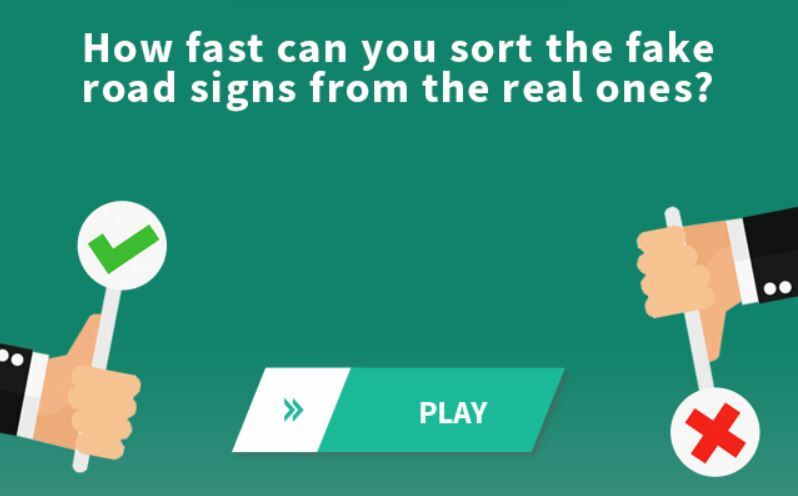 Sorted challenges you to separate real road signs from some pesky fake ones we invented. That might sound pretty easy, but you have to work against the clock and the signs just keep coming! Think this score looks a bit measly? See if you can do better—it’s harder than it looks! 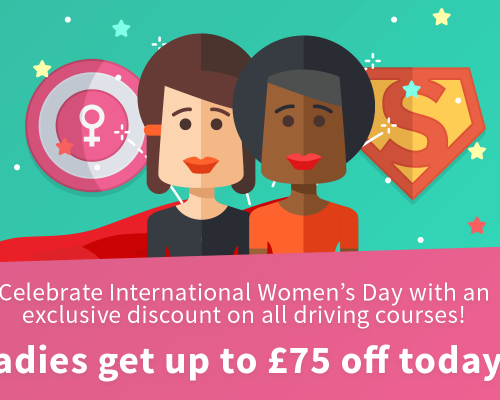 Once you get the hang of it, you’ll find it’s a fun way to hone your reaction skills and get some valuable practice in for the theory test. We know, we know—anything labelled as ‘educational fun’ is bound to elicit a bit of a groan. Trust us on this one, though: Sorted is a great way to pass the time. You can play on both desktop and mobile too! Start racking up the points on your commute and you won’t believe how quickly the time flies. Signs help us to successfully navigate the road, prepare for changing conditions and ensure that we are adhering to the rules. Whenever you’re out and about in the car, you should be keeping an eye out for road signs—even if you’re not in the driver’s seat yet. 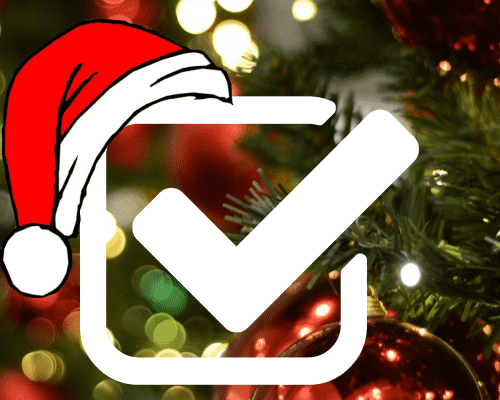 You’ll be tested on road signs as part of the multiple choice section of the theory test. It’s also a good idea to look out for road signs on the hazard perception video clips. Combined with certain scenarios, road signs could indicate that a hazard is likely to develop. You may, for example, see another vehicle travelling very fast just as a sign for a school appears. The meaning of a lot of road signs are quite obvious, while others are downright confusing! 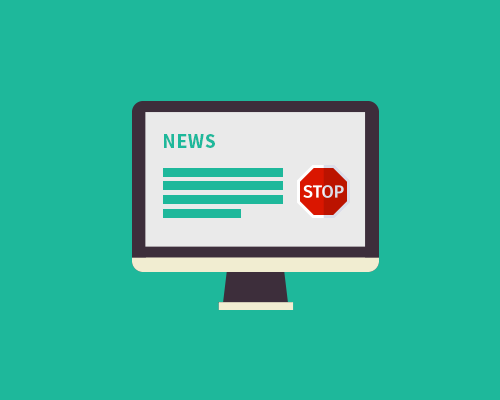 If you think you need some extra practice before taking on Sorted, have a go at our traffic sign quiz or start revising road signs with our ultimate theory test revision resources. Time to test your knowledge by seeing how quickly you can spot a real road sign from a fake. Candy Crush is great, but it’s not getting you any closer to earning that licence. Switch up your go-to mobile game and start prepping for the theory test today! We should mention, Sorted carries a warning: it’s highly addictive. Once you start sorting you’ll be determined to score an impressive PB and, of course, beat all of your mates. Think you can rack up a high score? Prove it. Ready, set, GO! 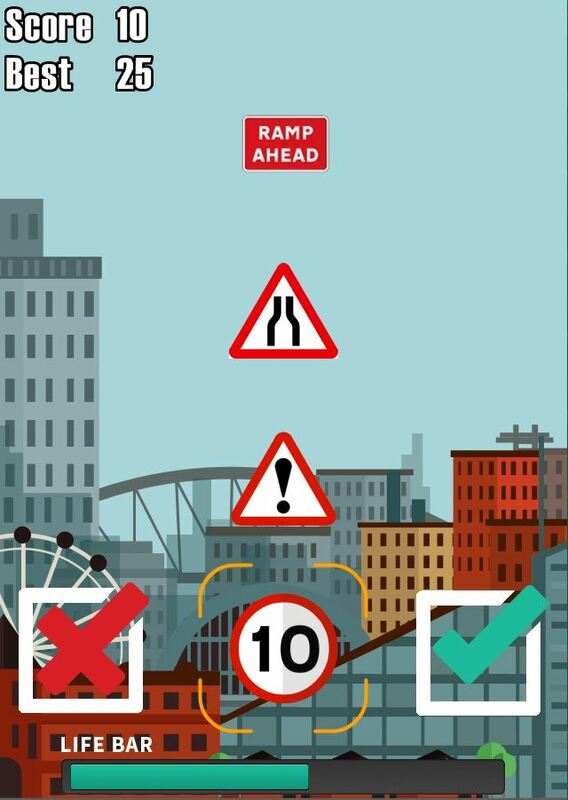 Comments Off on Test Your Eye For Road Signs With Our New Sorted Game!